Though I didn’t notice them when I first saw Rogue One in theaters, apparently there are a ton of Star Wars: Rebels Easter Eggs throughout the movie. Fortunately, the good people at Entertainment Weekly have been nice enough to post official screenshots showing off the Ghost and that stupid Chopper astromech. I have heard some critics deride the idea that Rogue One is just a glorified fan film. That all they have to do is feed us the classic Star Wars iconography and we’ll greedily lap it up like good little puppy dogs. To Hell with that line of thinking! We live in a world of franchises. Be they Ninja Turtles, Marvel superheroes, Transformers or Star Wars, this is where we get our pop culture awesomeness. And if we’re a fan of said franchises, I see absolutely nothing wrong with embracing and enjoying when those franchises are celebrated. I loved Rogue One, in large part because it was an exciting and well made Star Wars movie. There is no harm or shame in taking X-Wing fighters and lightsabers and making a hugely fun and entertaining movie. Or a cartoon show. And there’s especially no shame in uniting them to build an even bigger connected universe. In fact, I think that idea is beyond amazing. 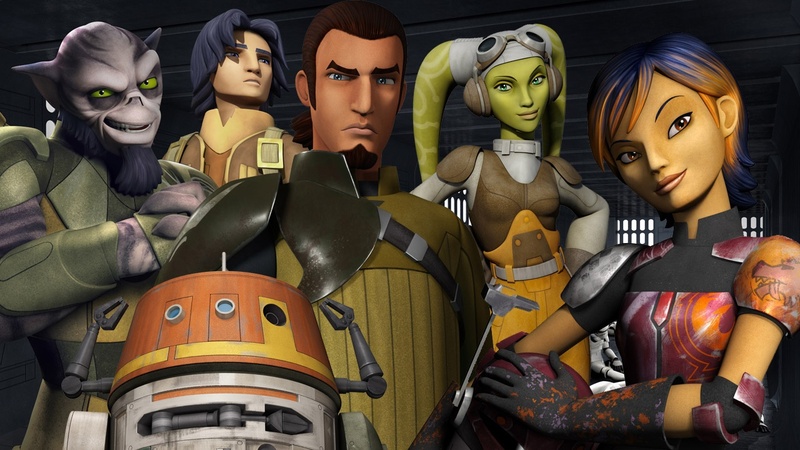 If you don’t know, Star Wars: Rebels is the current Star Wars cartoon coming out of Disney about a gang of rebel fighters near the start of the rebellion, set about 3 or 5 years before Rogue One and A New Hope. It’s an OK cartoon. I’m not a devout fan or anything, but I like watching. Somewhere along the line, the people making Star Wars stuff these days realized that the cast of Rebels would reasonably have some kind of connection to the events of Rogue One. They’re set a few years apart, but unless everybody in Rebels dies a horrible death at the end of the series, some of them might still be around in time for Rogue One. And sure enough, they were! 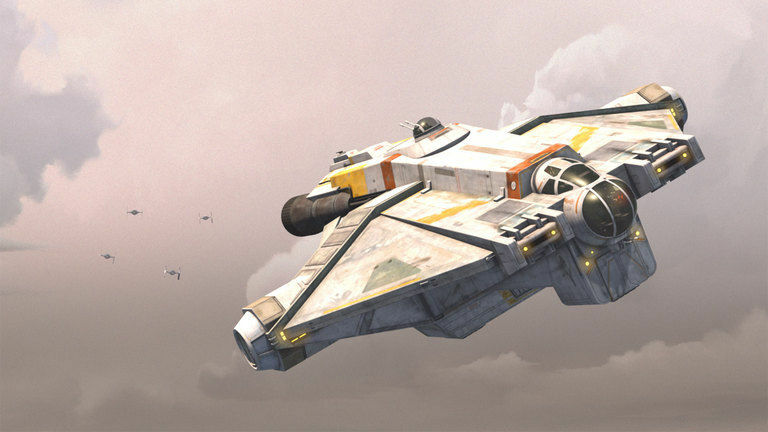 This is a picture of the Ghost, the Rebels’ signature ship. And here you can see the Ghost parked at Yavin 4 during Rogue One. There are also shots of the Ghost with the rest of the Rebel fleet above Scarif in the movie’s climax. And in this movie screenshot, you can see the Rebels’ droid, Chopper, on the far left. Elsewhere in the movie, you can hear an announcement paging a “General Syndulla”. 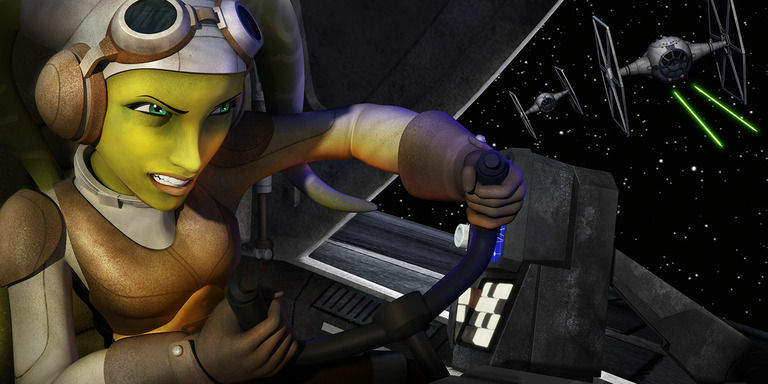 The masterminds behind the cartoon have since confirmed that the announcement is referencing the Rebels character Hera Syndulla. Apparently she gets a promotion to general by the time Rogue One comes around. Good for her. 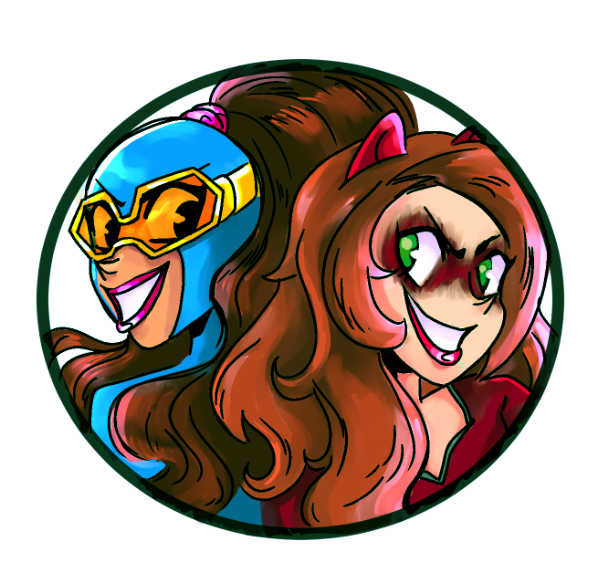 So what we have here is a crossover of epic proportions, and I am thrilled. At no point did Rogue One have to acknowledge Rebels. Even though it’s the same franchise, and the two are both being produced by Disney at the same time, there was no need to put Rebels Easter Eggs into Rogue One. Nobody would really notice them, and non-fans wouldn’t care. But just the fact that Star Wars went this extra step speaks volumes. They care about creating a bigger, connected universe in their properties. They take this seriously. And as a super fan, I appreciate that sort of thing. I love the idea of cross-platform crossovers, like tie-in comics to the Marvel Cinematic Universe. And remember that Matrix video game that supposedly took place simultaneously to the sequels? That game/concept was great (if a little wonky)! Star Wars is a fun franchise and there is nothing wrong with making more Star Wars movies starring classic Star Wars characters, weapons and vehicles. And if the people making those movies want to go the extra step and add crossovers with other Star Wars properties, that is the ultimate icing on the best tasting cake ever. Also, this totally makes me more interested in Rebels, so that’s a win-win for everybody involved. I can’t wait to see them do the Battle of Scarif from the Rebels’ perspective! Posted on December 23, 2016, in Cartoons, Movies, Star Wars, Television and tagged Rogue One, Star Wars: Rebels. Bookmark the permalink. Leave a comment.